Posted on 20 March 2017 by Kapiti SeniorNet Inc. There will be a new Workshop in Term 2, which will cover the Avoidance of Scams, covering various scams that may appear on computers or in text messages. If you have questions bring them along, we will try to answer any questions on the day or we will get back to you! Date and time will be published in the Term 2 timetable. Enrol today for one of our classes or click to see the current Course Timetable. The course ‘Introduction to Computers’ is free, so please pass this information on to friends and family. Remember also that we have reduced charges for any member wishing to repeat a course. Click here to see all our course costs on our website. The charge for regular Workshops is $5.00 per session. Remember that we run Q&A, iPad and Android tablet/phones Workshops each month and no prior booking is required. Click to see the current Workshop and Special Interest Group (SIG) Timetable. If you’ve already completed a Course and need some additional help to clarify a few points we are, as always, delighted to help at one of our popular How Do I..? workshop sessions, where the charge varies depending on how long we spend helping you. Our timetables for the second term (May to July) have just been published. Click on the two links below to see where you might fit a course or workshop into your busy autumn/winter programme! A lot of time and effort goes into managing this website so that our members can keep up to date with what’s happening in and around the Learning Centre. 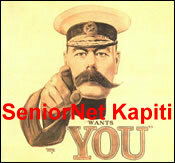 SeniorNet Kapiti’s friendly website design benefits everyone, and if you want to be informed each time new articles appear, you need to click on the Follow button which should be visible at the bottom right-hand side of this browser. Sign me up. After that you’ll get a short email from “Wordpress” when new material is posted. 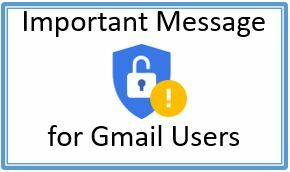 Your email address is kept in the strictest confidence and is never shared with anyone else. Don’t forget the “Music” Workshop – Downloading music to your computer starts in April! Once you’ve downloaded it you can then listen whenever you want – walking the dog, strolling along the Expressway walking track (or beach! ), while you check your emails or surf the internet or whatever! Or perhaps you’ll want to copy music onto a CD or USB stick so you can play it in your car. You can also copy music from your PC or laptop into your tablet or smartphone. This will be covered later in the regular smartphone workshops. Courtesy of SNK Hutt City – this photo of a dolphin “getting some air” off the Kapiti coast. The photo was taken on Sun­day 19th February not too far off the shore from the Paraparaumu Boating Club. This was one of ap­proximately 8 dolphins making up a small pod that were performing in the area that day. Seeing these majestic creatures playing like this in the wild is truly a wonderful sight to behold. We always need tutors and assistant tutors so please contact Kuini at kuini.woolcock@gmail.com and she will discuss the options with you. Join our friendly and supportive group and bring your ideas forward for discussion. After every meeting, members are heard to say… I wish I’d known that… easy when you know how… I need to do the course. Experienced senior/lead tutors are there to train you to become assistant tutors and this is also a great opportunity to keep up with all the latest advances in the computer world. Tutors also need to keep themselves updated so enrol in a course or go along as an assistant tutor. Please support our sponsors. Remember to take your SeniorNet card with you as substantial discounts are given on most items at Noel Leeming (not just computers! ).